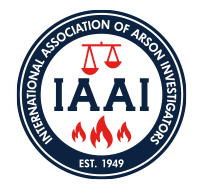 The International Association of Arson Investigators has long been a leader in fire investigator training and certification, and the online training effort is no exception. IAAI pioneered online learning for fire investigators and allied professionals with CFITrainer.Net, now widely acknowledged as an indispensable resource for training in the profession. IAAI also offers Knowledge 1 online self-study courses and a Fire Scene Evidence Collection Guide app that delivers video demonstrations and written descriptions of the proper way to collect and preserve more than 30 types of evidence found at fire scenes.